Product code: GHRS95T Category: Rosary/मालायें. 100% Original and Energized. It has been sainted and sanctified by reciting Beej Mantra by expert Pundits of Astro Mantra to enable it for immediate retention and instant effects. Green Hakik Mala/Rosary: Green Agate Rosary offers cleansing and endurance to the body, mind and spirit. It helps to achieve a precision of inner sight. Agate is a symbol of protection, courage and success. It has many properties of its own and this is where it has an edge over other sub stones. All agates have some inherent properties of their own and most of them are very beneficial in health related issues. Green Hakik Mala/Rosary is a symbol of protection, courage and success. It attracts good fortune by eliminating bad luck. It has a calming effect during times of stress, giving a sense of strength and courage. It is said to have a calming and stabilizing effect on the body. It helps to encourage success and financial rewards. The Green Hakik Mala/Rosary should be used to pacify the malefic effects of Planet Mercury or to strengthen this planet in ones Horoscope. This mala can be worn by persons having their zodiac signs as Gemini and Virgo with wonderful results. Green Hakik Mala/Rosary wards off the negative influence of Planet Mercury. The Green Hakik mala has superb healing power. Green Hakik Mala helps in controlling negative thoughts and energies. Green Hakik Mala/Rosary can also be used for enhancing the aura of the person. Green Agate is a member of the quartz gem group that occurs in many colors and patterns, including agate geode, fire agate, agate jasper, onyx and more. Green agate is a wonderful emerald green gemstone that is durable and versatile, making it great for any kind of jewelry design. Moreover, green agate gems can be found faceted and cut en cabochon. Browse the largest selection of green agate gemstones. We have calibrated sizes, matching pairs and matching lots of green agate stones from Mozambique and other origins. To find the green agate gems that you require, filter the results further by shape, size, carat weight, price and other factors. All items shown are available and ready to ship. Mercury exercitation, chanting spells, veneration etc. Dragon head accomplishment, chanting spells and Beej Mantra, veneration etc. Green Hakik Mala for Budh Graha Shanti. It strengthen Mercury, enhances savings. This energized Agate Mala has a very soothing and balancing effect on the wearer. It balances the yin and yang energies, has a slow but steady and strong effect on the wearer. This green agate mala gives wisdom, speculative ability, communication ability and business growth. It creates the circumstances to get job. Green Hakik Mala is a very powerful healing stone that emits energy of strength, power and courage. Green Hakik Mala works well on the heart chakra and helps things to grow. It is widely used in Fengshui and Crystal therapy. It provides for perceptiveness to situations and awakens ones inherent talents. It has a cleansing and stabilizing effect on the body. It helps to encourage success and financial rewards. It increases memory and removes stammering. Those who are deviated from the studies must wear this Mala. It has been sainted and sanctified by reciting Beej Mantra by expert Pundits & sages of astromantra.com to enable it for immediate retention and instant effects. A Rudraksha is believed to be a symbol of Lord Shiva. 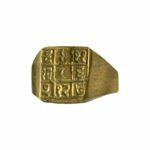 It is considered an important and divine bead for meditation among the sages and in the Hindu mythology. The seeds of the Rudraksha tree have been known to possess very powerful paramagnetic, electromagnetic and inductive characteristics that help in the healing of various health issues and awakening the Kundalini of the person who wears it. Vaijayanti means that which brings victory. Vaijayanti seed comes from the forests. White beads Vaijayanti Mala is used in different Acts like Vashikaran, Attraction and Devi Siddhi etc. Vaijayanti Mala is also known as Lord Vishnu's garland. This rosary is axiomatic by chanting spells by the expert pundits of the team of Astro Mantra which energized it to act instantly and ready for retention. Hypnotism and Mesmerism have long since been known to the Indians under the name "Sammohan Vidya". The mala is a potent tool to bring the desired under the influence. Safed Hakik Mala is a symbol of protection, courage and success. It attracts good fortune by eliminating bad luck. It has a calming effect during times of stress, giving a sense of strength and courage It has a calming and stabilizing effect on the body. It helps to encourage success and financial rewards. The Tulsi mala or a rosary made from the holy basil plant is a beautiful thing to possess and wear. Hindus see the Tulsi mala - the light, chandan-coloured one as a way to connect to Vishnu or any of his avatars like Krishna and Rama. 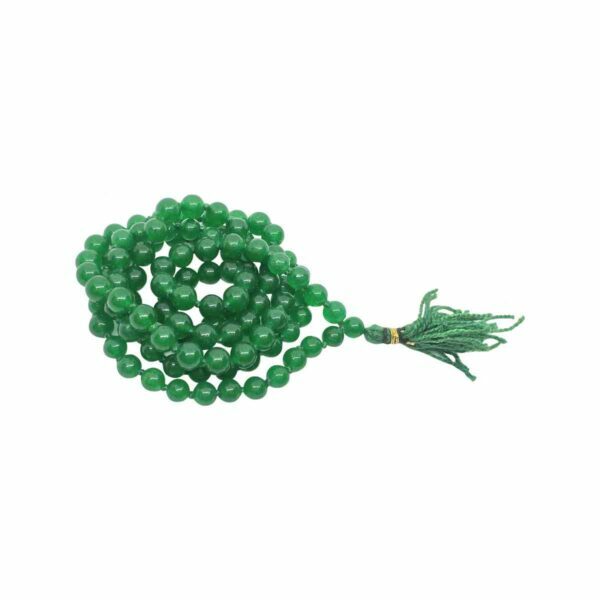 This Moti Mala/Rosary is sainted by chanting Beej Mantra by the team of Pundits of Astro Mantra and sanctified for instant effect and ready to wear. Crystal is possessed with a strong field of light and energy which provide sonic protection against negative vibrations. The Crystal Mala is said to have spiritual powers, it renders peace and calms the stressed mind. The Munga Rosary made from coral is known as Munga rosary. This mala is available in various colors such as red, pink, white and black and smoke. Rudraksha Pearl Mala/Rosary A Rudraksha represents Lord Shiva/Rudra himself. It is said that it bestows all sorts of salvation & achievement of desired objects.